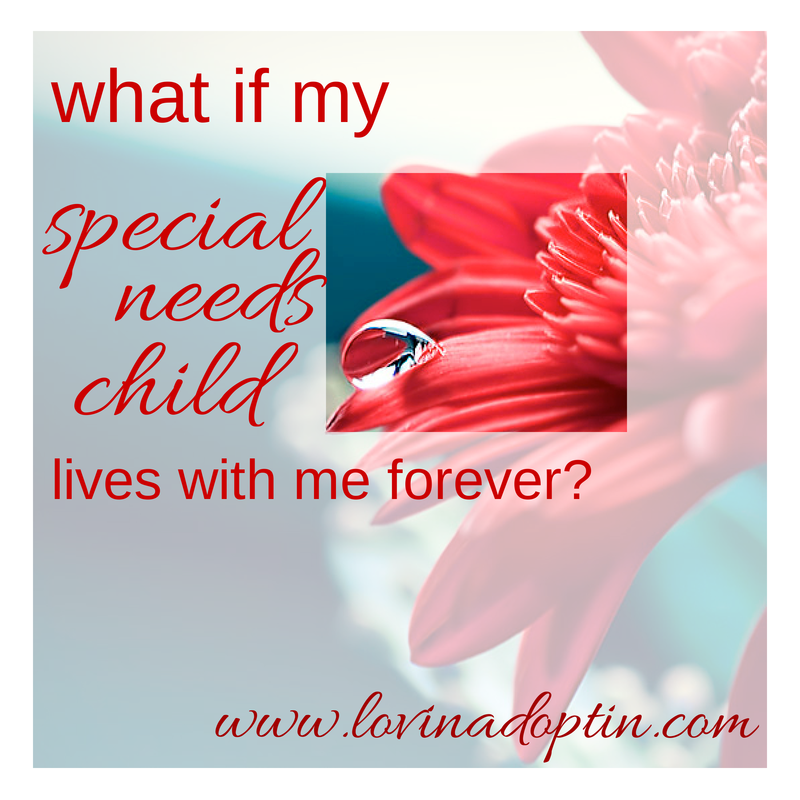 This entry was posted in Uncategorized and tagged Autism, down syndrome, Ellen Stumbo, Not Alone, special needs, Special Needs Parenting, what if my Autistic child lives with me forever, what if my special needs child lives with me forever. Bookmark the permalink. I’m a fan of both Not Alone and Ellen Stumbo, too. She’s not afraid to tackle hard subjects and find the light in them. Thanks for linking your post to the DifferentDream.com Tuesday link share. Great. You’re welcome. I’ve enjoyed your writing too, Jolene! My daughter is developmentally delayed. I was told she would eventually live in a group home, and eventually she may. But my goal–always my goal–to help my daughter live as typical a life as possible for her. She is now 34 and has lived independently for 14 years. Yay! I love my girl too, but I often revert to parenting her when she is near. Although that isn’t the role she wants me to play any longer. Unless it is on her terms. My daughter is now married. She has a part-time job that she tells everyone who will listen, “I work full-time, two hours a day.” Wouldn’t everyone like to have a gig like that? Anyway, hope you’ll stop over and visit Out One Ear when you get a chance. Living independently has not always been a bed of roses. There is heartbreak in this journey, but their is heartbreak in our typical son’s journey too. We can’t prevent heartbreak. It’s part of life. Thank you for sharing your story. I look forward to checking out your blog.